I am a tired blogger this evening! Tired and covered with flour. 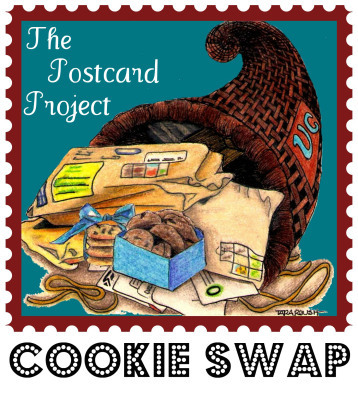 This year I am participating in the Postcard Project Cookie Swap. It is organized by Veronica’s Cornucopia and the idea is to “not only to spread joy and cheer through the sharing of cookies, but to support the US Postal Service”. Last year they had 1667 cookies shipped which is pretty impressive. There is also a matching program for the swap where each cookie sent gets a $1 donated to Cookies for Cancer to help fund pediatric cancer research. So it’s a win-win no matter how you look at it. I got assigned three women to swap with from Washington, Massachusetts, New Mexico. I’m excited to send off the cookies on Monday and receive one’s from whomever is assigned to me. It’s very nice of Veronica to organize everything and assign the matches. It seems like it would be a herculean task. Thanks, Veronica! I will be sending out 3 different kinds of cookies- lemon butter, outrageous brownies and eggnog logs. 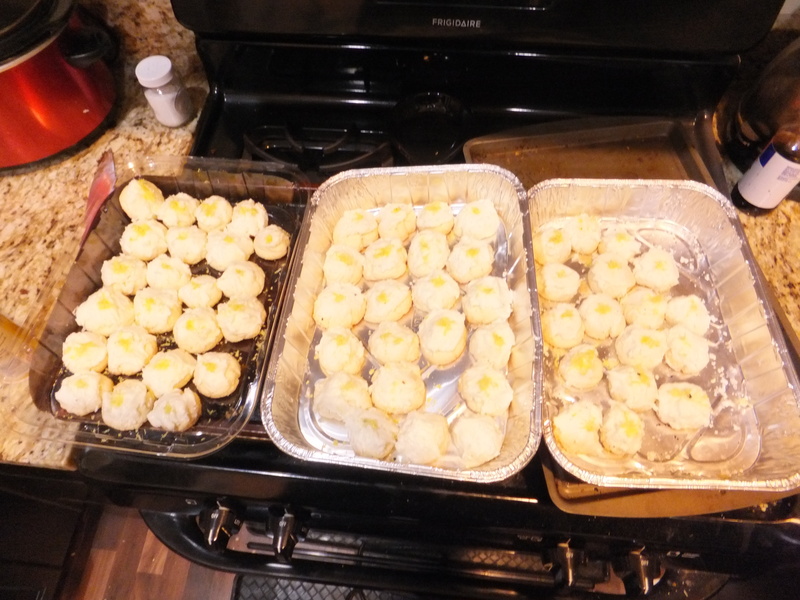 Lemon Butter Cookies- These turned out so good! Cream butter and sugar. Add cornstarch and flour. Drop by teaspoons onto cookie sheet. Cool and then spread with frosting. Heat oven to 350 degrees. Beat butter and sugar in a mixer bowl until light and fluffy. Beat in nutmeg, vanilla,k and egg. Stir in flour. Divide dough into 6 pieces; wrap and regrigerate 30 minutes. On lightly floured surface shape each piece of dough into a rope 1/2 in thick. Cut into 3 in long logs. 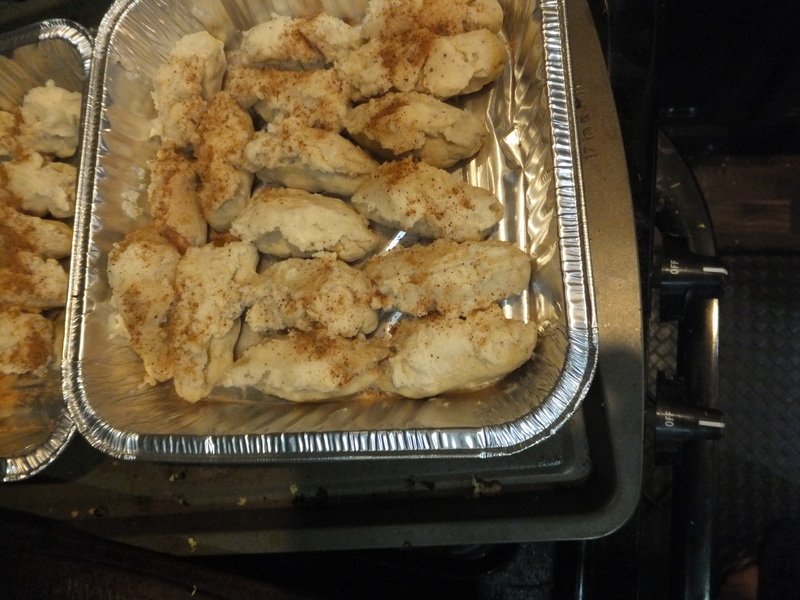 Arrange 2 in apart on ungreased cookie sheets. Bake 13 to 15 minutes until lightly browned. Cool on wire racks. Beat butter, 2 cups powder sugar and vanilla until smooth. Add cream; Beat in remaining 1/2 c sugar if necessary until spreadable. Spread frosting over top of each log. Run fork down each to simulate bark. Sprinkle with nutmeg. Decorate as desired. Outrageous Brownies- these really are outrageous but the recipe does make a lot. It comes from Ina Garten. 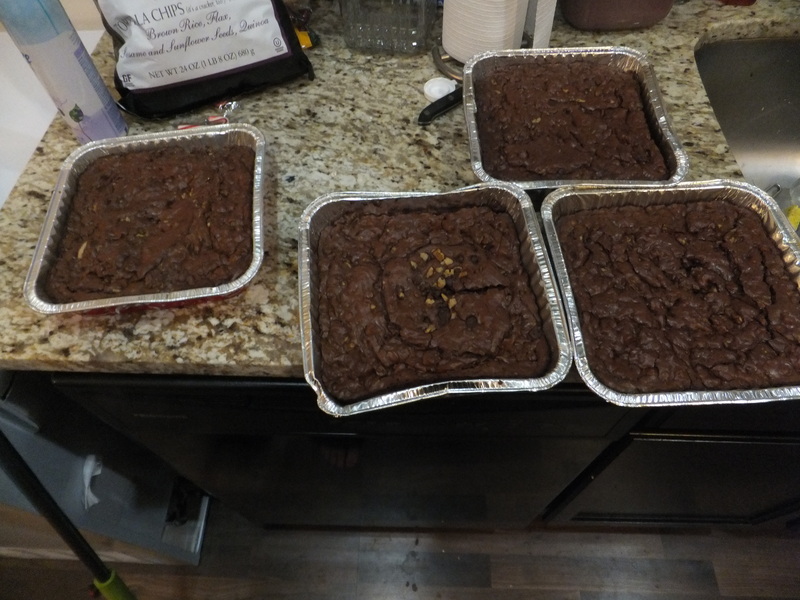 Bake for 20 minutes, then rap the baking sheet against the oven shelf to force the air to escape from between the pan and the brownie dough. Bake for about 15 minutes, until a toothpick comes out clean. So those are the recipes. I am surrounded by 148 cookies! The lemon one’s and brownies are to die for. Those egg nog logs are my favorite holiday cookie! So good! 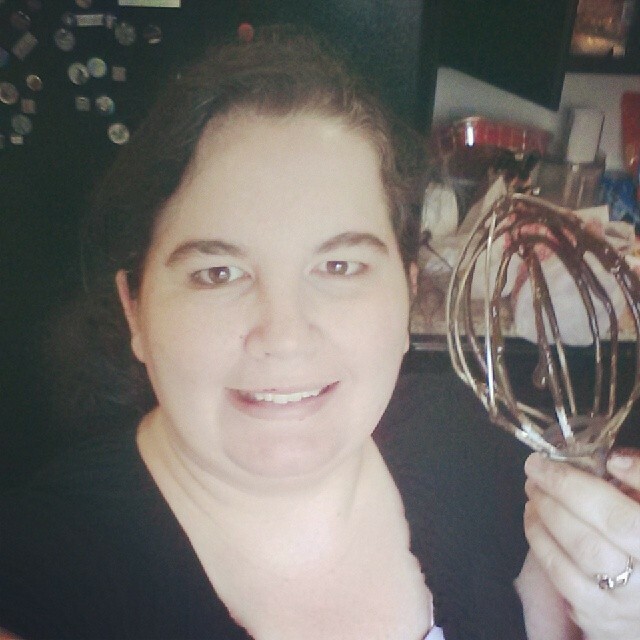 Thank you for sharing this – I loved seeing your cookies and recipes! I’ve never heard of eggnog logs. 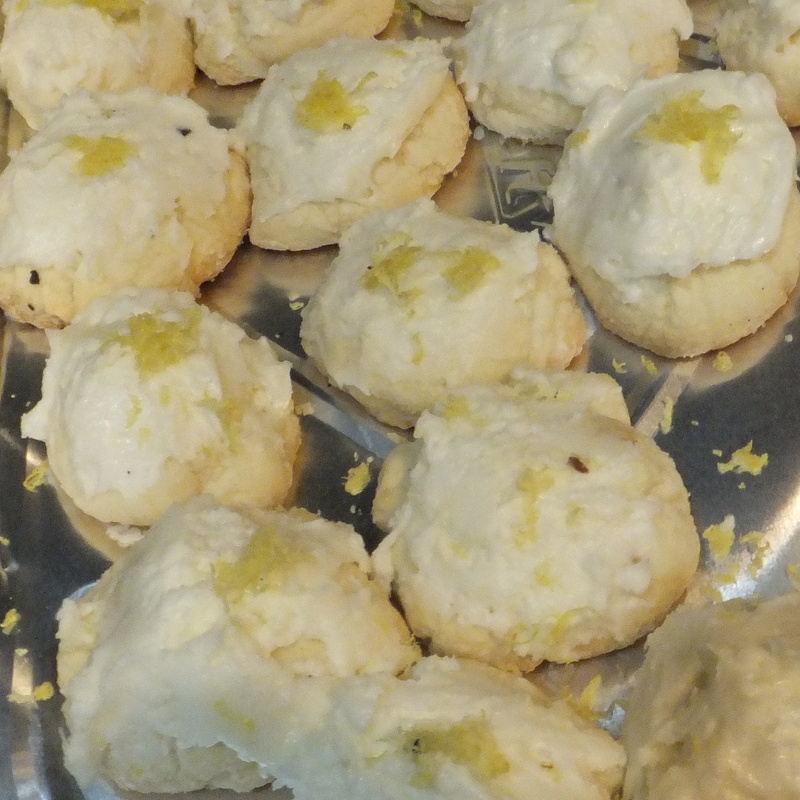 I used to make lemon cookies that yours reminds me of – they sound and look so good! I’ve made Ina’s brownies but yours look way better than the ones I made. Looks like you got some lucky matches! Oh and the people you are matched to are also the same people mailing you cookies. I did it differently the first year and so many people flaked out I directly matched people after that and it helps with accountability. LOL, not the case with my Mom. She doesn’t bake at all! So I guess that might be a good thing b/c I know if she did I’d never think my goodies are as yummy either. Gotta love food made by your Mom and Grandma! funny. My Mother is a high standard to measure up to on just about anything. She sews, knits, cooks, the list could go on. I’m so lucky to have such a super mom. 🙂 Aside from cooking I’m not really much of a domestic, so it didn’t rub off well but she loves me anyway. It will be interesting to see if I ever have a daughter what kind of Mom I turn out to be. Thank goodness for Moms.